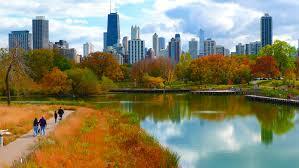 As millions of visitors from around the world know, Chicago is a great city to visit at any time of year. Ok, maybe not the middle of winter, but even then, there is the Opera, Ballet, Blackhawks and Bulls to keep one entertained. 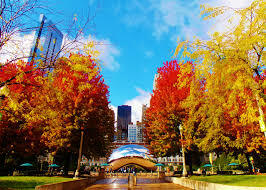 Autumn in Chicago is a special time of year. 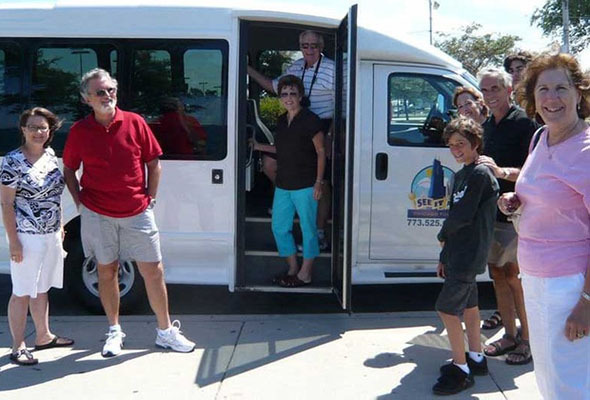 Legendary tour guide Rick once said, See Chicago in the fall. If only to make the blogmaster happy. This time of year means fall foliage is at its peak. Reds, yellows, oranges, and brown leafs decorate the tree lined streets of this beautiful city. Soon the ice rinks will open, museums will lower their prices and Hamilton tickets may drop below $300.00. Maybe. Up in Lincoln Park, you can enjoy the fall colors and cool temperatures by walking along the Lincoln Park Boardwalk and nature trail. You can See Chicago in the fall from a couple of miles north. The 151 and 156 buses will get you up into this area in just a few minutes. The Lincoln Park lagoon, Farm in the Zoo, Zoo itself and several relaxing areas are a great place to spend a few hours. Inside the Farm in the Zoo, you will be able to see people getting eggs from the cows and milking the chickens. Or at least something like that. When you are done exploring the area, RJ Grunts restaurant is a few steps away. Opened in the early 1970s, this popular diner claims to have invented the salad bar. The decor is pure 70s. The music is pure 70s. The prices, pure 2017. Still a nice place for lunch or an inexpensive dinner in a fun, active and happening part of town. The Second City Comedy Club is also here. Started in 1959, it has produced about 1/2 of the famous US and Canadian comedians since then.